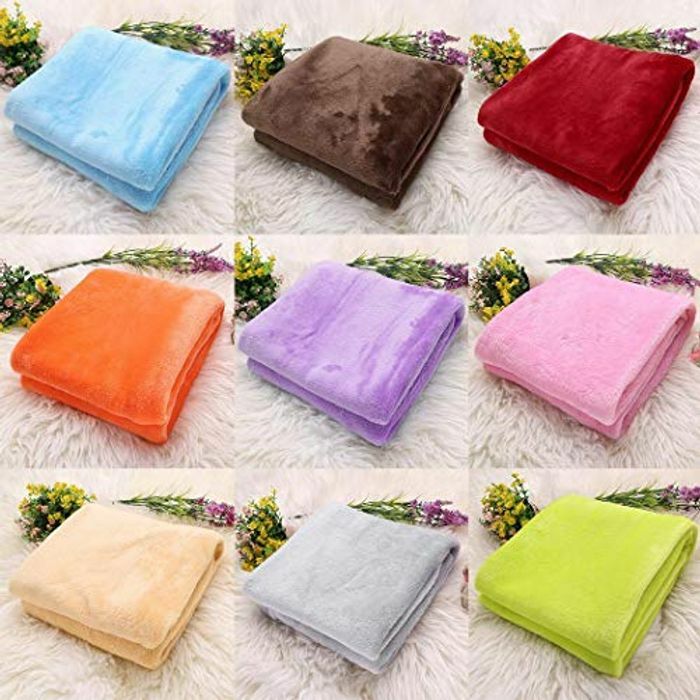 MATERIAL - Made of polyester and flannel fabric, Super soft microplush throw towel can prevent electrostatic. SIZE - Size: 50 x 70 cm/ 19.7 x 27.6 inch. COLOR - It comes 10 Colors: Sky Blue, Coffee, Khaki, Green, Silver Gray, Orange, Pink, Purple, Red, Rose Red. OCCASION - This towel a good choice for travel/home use. EASY TO CARE - Hand or Machine Washing, Hang to dry. Never use bleach on a blanket.